Dental veneers can be used to change the appearance of the teeth by altering their colour, shape and even their apparent alignment. They are often recommended if teeth whitening isn’t able to achieve the desired colour change. A veneer is a very thin, tooth-coloured structure that is bonded to the front of the natural tooth to achieve a change in its appearance. Veneers are most often made from porcelain, a translucent material that can mimic the natural colour and characteristics of tooth enamel. In most cases, a thin section of natural enamel is removed from the front of the tooth, making room for the veneer and roughening the surface to improve bonding of veneer to the remaining enamel. In some cases, composite resin can also be used to veneer teeth: this tooth-coloured dental plastic can blend well into the natural smile, although its translucence and shine don’t always achieve the same results of porcelain. Are Veneers Suitable for Me? If you are considering a cosmetic change one or more of your teeth, please make an appointment to discuss your treatment options. 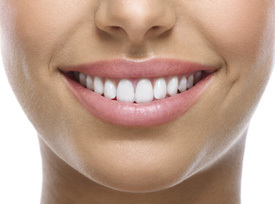 Dental veneers are not always suitable or may not be the best option. Your dentist will be able to recommend the most effective way to achieve the best outcome for your individual circumstances. Contact us to find out the best option for you.